Hello can u be my fan? Congrats my on being a guardian!! whoops didn't notice i had spelling errors,I meant Congratz on becoming a guardian. Haha, it's okay. Thanks again! Hey! So I finished the 1st season of Falling Skies! :) You checked it out yet? Congrats on the second place! Congrats with the 2nd place! Thanks for your great posts chrysteeen, they are always easy to approve. so you in for 2nd place? 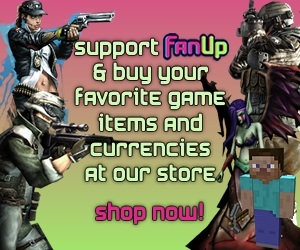 U Have 1995 FanCoin and 70 Fanbucks. hey i'm working on those games you asked for, the are coming a few at a time. Hello, did those mobile games you wanted us to add ever get created? If not, can you send email to community@fanup.com with the names and we will definitely add them this week.